Highly Subjective and Completely Arbitrary: Here Comes the D-Train! Dontrelle Willis took Major League Baseball by storm in 2003. He was the Cubs' 8th round selection in 2000, and made his way to Florida in 2002 in the Matt Clement / Antonio Alfonseca trade. 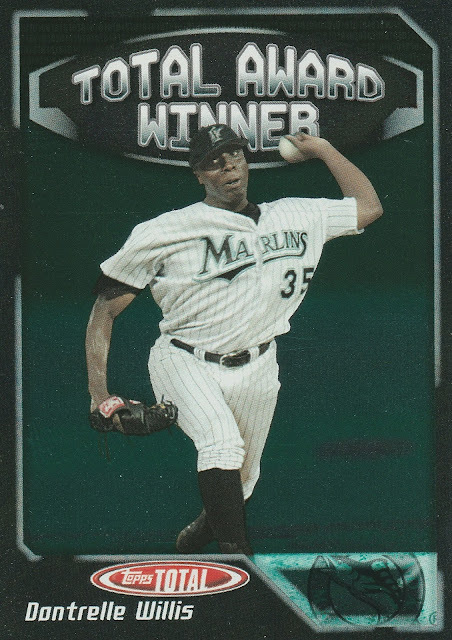 He made his debut for the Marlins on May 9th, 2003. He had a quality start, striking out 7 batters in 6 innings of work. It would get better from there. 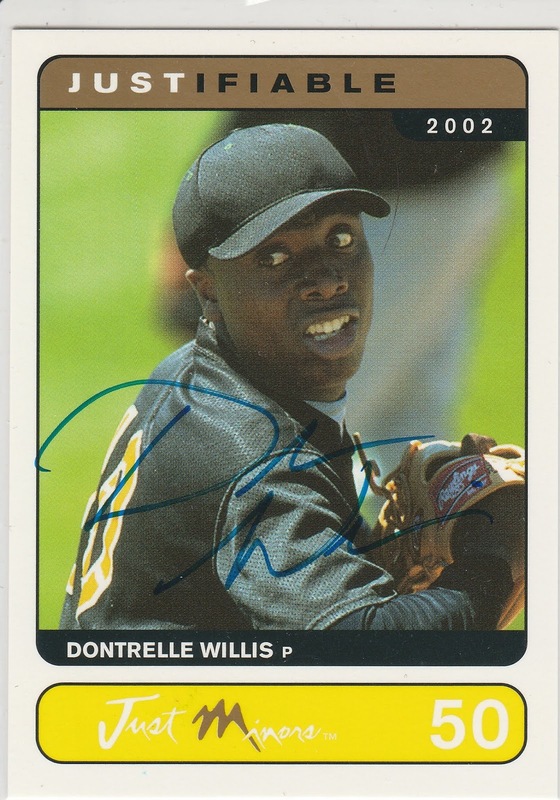 Willis was the 2003 Rookie of the Year in the National League. He went 14-6 with a pair of shutouts, striking out 142 batters in 162 innings pitched. He also made his first All-Star team. The Marlins won the World Series that year, and Willis pitched in 3 of the games and did not allow a run. All of his World Series appearances came in relief. 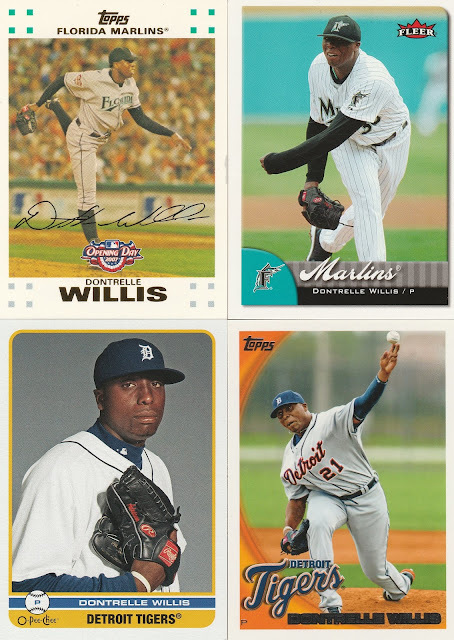 Willis was known for his unorthodox delivery, which seemed like a mix of Fernando Valenzuela/Luis Tiant's Twisting upper half and a very high leg kick. He was also one of the better hitting pitchers of his era. 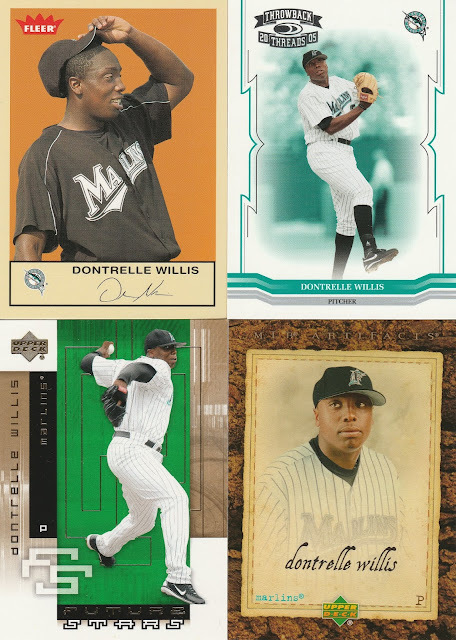 He hit at least one homer in every season with the Marlins, and became part of a unique 20/20 club in 2005. That's 20 wins and 20 base hits. His best season was 2005 - he won 22 games to lead the National League, to go along with a league leading 5 shutouts and 7 complete games. He won the Warren Spahn Award, given to the best Left handed pitcher in each league. He was the runner up in the Cy Young Award voting to the Cardinals' Chris Carpenter. 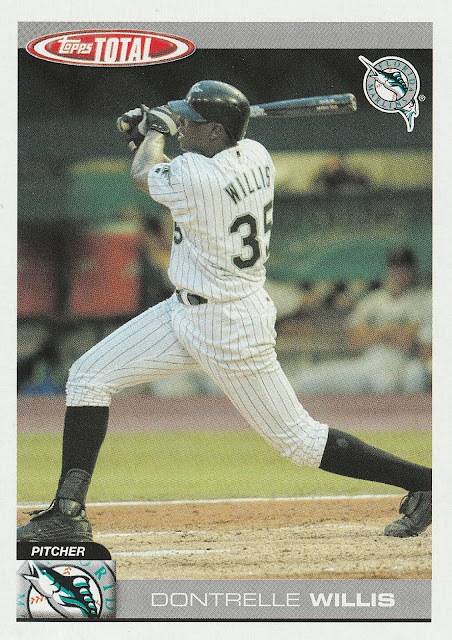 Willis would be on the move again, this time he was included along with Miguel Cabrera in a trade to the Tigers. Willis struggled in Detroit, with shoulder and knee issues. He would also have a well-publicized battle with an anxiety disorder. He would continue to work towards a comeback, pitching for the Tigers, then the Diamondbacks, and finally the Cincinnati Reds. In his final MLB game, he did not even pitch - he pinch hit for Aroldis Chapman, but was lifted for another pitcher the next inning. He hit .387 for the Reds in 2011, including his 9th career home run. Loved his delivery. I wonder how many other guys are part of the 20 wins/20 hits club. I've always liked D-Train. One of the last in a dying breed of dudes with really quirky windups.